Live vs Online Poker: Which Should You Play in 2019? Live Versus Online Poker – Which Is Better? If you presently play poker at a land-based room, you may be missing out on the many benefits that online play can afford you. There are some major differences between playing online and playing at a brick and mortar room. Both have various positives associated with them, but online poker offers numerous advantages that live poker does not have. Playing live poker can be a lot of fun. There’s a wealth of social interaction involved, and poker players at land-based rooms have the opportunity to read the body language of other players and size up the manner in which they make bets, looking for tells. Whether they are in a tournament or playing for cash, live poker requires that a player spend a decent amount of time at the green felt. Buy-ins can be as low as $30.00 and as high as a few thousand, while cash play usually starts as low as $1.00/$2.00 and can go up to $75/$150 or higher. Of course, if you want to play live poker, you’re going to need to, at the very least, travel to the poker room, which may be relatively close, 30 minutes, or hours away. You’ll need to set aside the time necessary to do so, giving up at least a few hours if not an entire day or more in order to enjoy a live game. Online poker provides players with a lot more choices. Often, online poker rooms offer more poker variants, many more tournaments, and a greater range of cash tables than you’ll find at even the biggest and best brick and mortar poker rooms. Games you’ll find online will often include Texas Hold’em, Omaha, Omaha Hi-Lo, Seven-Card Stud, Seven Card Stud Hi-lo, and Five-Card Stud. At large online rooms, you may also find Razz, Badugi, Five-Card Draw, and H.O.R.S.E. Online poker rooms offer numerous tournaments every hour with a wide range of buy-ins from as little as $0.01 to $500.00. You don’t have to be a high roller to play at an online room. You can play a month’s worth of poker for $50.00 or about $1.70 a day. Plus, cash tables range from mini-stakes to high-stakes. Some rooms have cash tables with $0.01/$0.02 minimums, while other may be a little higher at $0.02/$0.05. Again, table maximums vary depending on the room, with some going up to $50/$100 or even higher. If you play online, you can elect to interact with other players through chat, or you can isolate yourself and focus only on the game. The choice is entirely your. Plus, these rooms offer numerous tools and features, such as a four-color deck, ongoing commentary about the hand, and an odds calculator. You don’t need a lot of time to play, as you can finish a turbo sit and go in under 15 minutes. But if you prefer to play longer, there are a lot of opportunities to engage in large, low buy-in tournaments with hefty prizes. Of course, there are plenty of high roller tournaments with buy-ins starting at $100 and going up to $500 or more. Finally, all of the time you devote to online poker is spent playing poker. There’s no need to travel any distance. You can play at home on your computer or tablet, or with many online poker rooms, anywhere you can access the Internet via your phone. And there’s always action at online rooms no matter what day of the week or what time it is. You will always find a game. Plus, online poker rooms offer two other benefits you won’t find at a land-based room – bonuses and free rolls. Most online rooms provide first deposit and reload bonuses. These range from 25% to over 100% of your deposit. Those bonuses give you the opportunity to enjoy a lot more action. Just about every Internet-based room has a refer-a-friend program. With this type of program, if someone you refer signs up and makes a deposit, you’ll receive a bonus that you can use at the poker table. These offers vary and are usually around $50.00 per friend. The other area where online poker cannot be beat is that of the free roll. Free rolls are part of almost every online room. They cost nothing to participate in, and they offer players the chance to make some real cash without risking any money. If you love to play poker and have never played online, this is a great time to start. 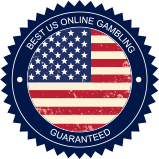 There are many online poker rooms that are focused on the US market, offering ongoing action at cash tables, in sit and goes, and in tournaments. Many also include a play money mode where you can work on your game without risking a dime! Try to find a land-based room that does that. There’s a lot of poker to be played online. Enjoy it!